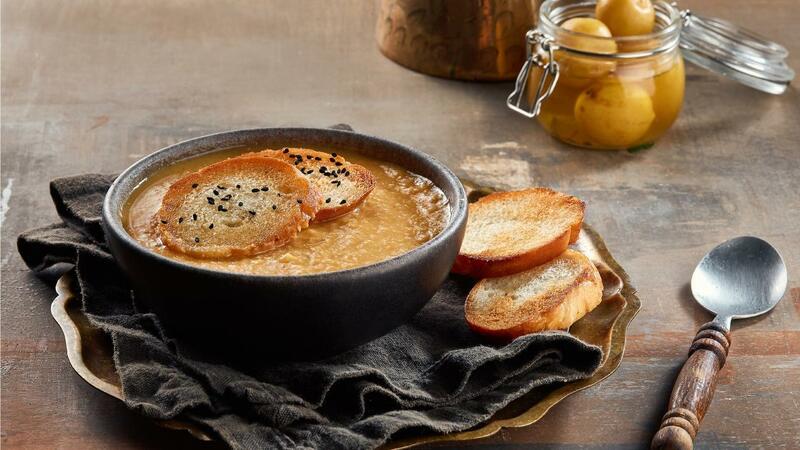 This smoked Lentil soup recipe will win the heart of millenial diners, they are always on the lookout for new twists on classic dishes. Check out the recipe below and add it to your Ramadan menu! On a stove top, heat a large pot and put wood chips in the bottom. Smoke the tomatoes, carrots, garlic, onions, garlic cloves for 15 minutes - covered. In a stock pot bring the water to boil add the Knorr Chicken Stock Powder then add the smoked veggies and cook it for 8 minutes then add the lentils and spices. In a sauté pan heat up the butter and sauté the garlic to golden brown and add it to the soup. Using an immersion blender to puree the soup.